Stopped through Moose Jaw, Sask@ the tourism center for a quick lunch in the RV and some photos. 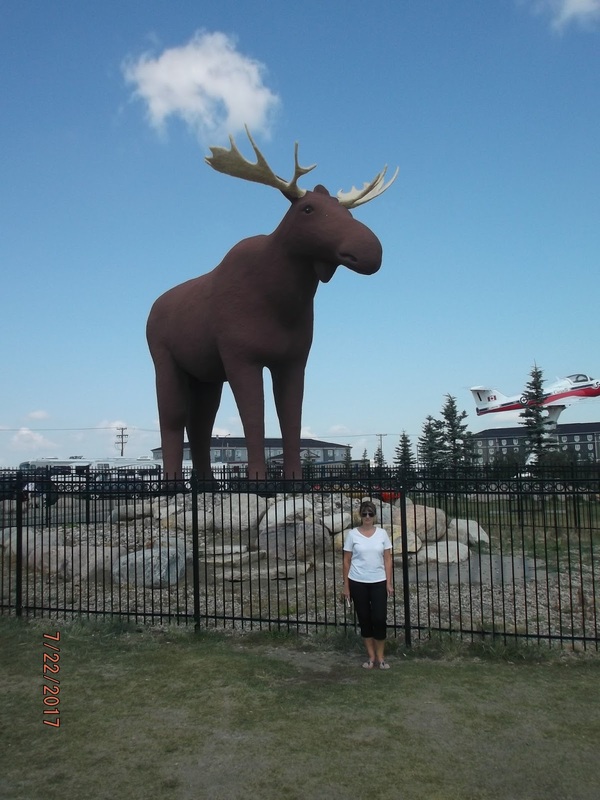 We have been to the city before but hadn't been at their tourism center, which has a "Snowbirds" scale replica plane, there was also trolley parked there when we went, and a giant moose stands there as well. Lots of folks stopped, lots with their dogs too.